LaChrista Siamese & Oriental Shorthair is a small cattery located about two hours east of Vancouver, Canada. We specialize in modern wedge head type Siamese, Oriental Shorthair and the occasional Colorpoint Shorthair in tortie colors. Our Siamese are mainly Lilac and Chocolate points right now, but we hope to be adding Seal points very soon. 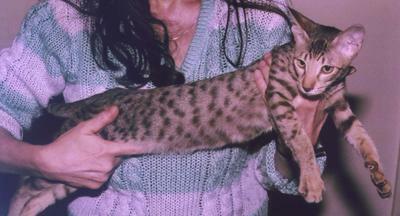 Oriental colors are Chocolate solids, tabbies in various patterns including Silvers and Lavenders (solid Lilac point coloring), and occasionally Cinnamons. LaChrista is registered with CFA, TICA and ACFA. Our bloodlines carry many GRC and RW cats. They include lines from catteries such as Shensi, Vindabonna, Jhreg, Felitan, SU SU, Sand N Sea and go back into San-Toi, Angkor Rose and Printers. Our kittens are handled from birth and when of proper age and coordination are allowed to have the supervised run of our home to be well-socialized, outgoing individuals. Each is considered a valuable family member regardless of whether they will remain with us or spend their lives in a loving forever home with their lucky adoptive persons. Our prices for pet kittens start at $850.00, and vary according to type and color. For example, Silvers, Cinnamons and Solid Chocolates are higher in price because they are rare. Kittens are altered in most cases, come with their complete set of two kitten vaccinations, and have a two-year genetic health guarantee. We also include kitten packs of food, litter, and toys to get your baby started. 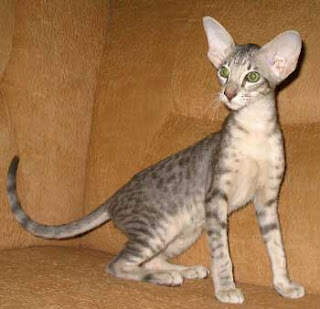 For further information and details of our current litters of Oriental Shorthairs, please contact us or visit our website.